You will add many Cheats: Rapid Fire/Instant Reload , Super Light , God Mode (Health-Thirst-Hunger-Energy) , Infinite Energy Only and many more. We are pleased to present you this article dedicated to the trainer of The Forest .There are all the resources that our editors have found on The Forest, in particular, in addition to what is written, also Cheats and Walkthrough. If you believe you have material to add to the article, please contact us and we will be happy to publish it here on this page. 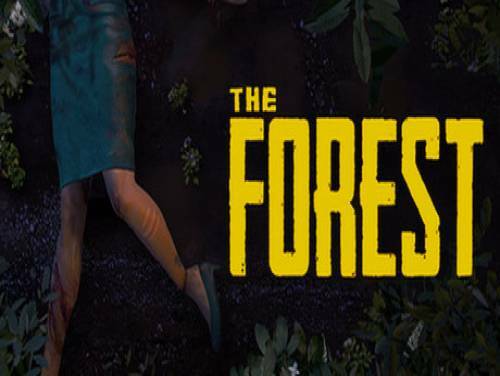 Available on this site are also the tricks of The Forest: these cheating and strategies inside will allow you to get to the end of the game without any problem overcoming any kind of obstacle. this in our official page dedicated to tricks of The Forest . As the only survivor of a plane crash, you find yourself in a mysterious forest and you must fight to survive against a society of cannibalistic mutants. Build, explore, survive in this terrifying horro first-person survival. The program you are about to download was not created by Apocanow. However, we have permission to publish and publicize by the authors of the Trainer The Forest Trainer - v1.11 BUILD 3496148. The contents of the file are virus free, even if sometimes they can trigger the AV as false positive. While active you have infinite health, energy also no hunger or thirst. While active you have infinite energy. Press hotkey to jump either to night or day depending on the current ingame time. Jumping to night will be instant, jumping to day takes a bit for the sun to appear. First PAUSE the game and alt tab out (to prevent crashes) then press hotkey to add all non-story items. While active enemies can't see you. While active you have unlimited items. While active you have unlimited logs (light version of easy build cheat). Press hotkey to set time scale. Be careful if you set it too high the game may starts to lag. To reset set the value to 1. You can change the value on the trainer GUI. While active you can shoot without reloading. shoot during the animation so it's rather a visual thing. This option has been made and tested with the flintlock pistol. But it might work with other guns as well. a super light making cave exploration very comfortable. the weather starts to change. Press hotkey to plant all gardens.